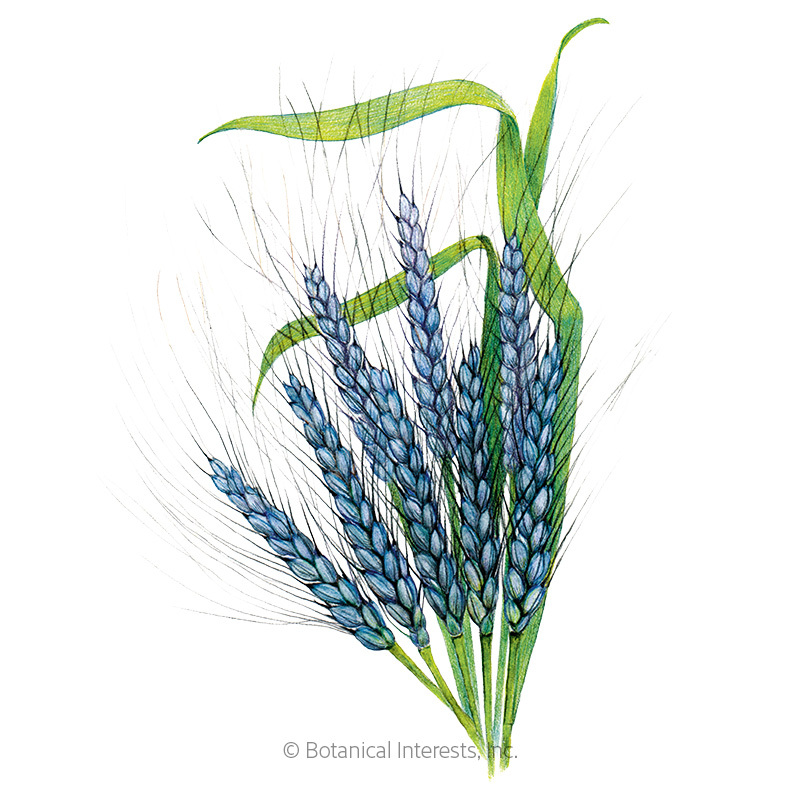 Broomfield, Colorado, the home of Botanical Interests, was named after the broom corn plant around 1900 when a lot of farmland was devoted to growing it. Brooms were traditionally made from the straw-like fibers after stripping off the seeds. Broom Corn is a member of the grass family, so instead of growing tassels and ears like sweet corn, it is topped by richly colored shiny seeds. 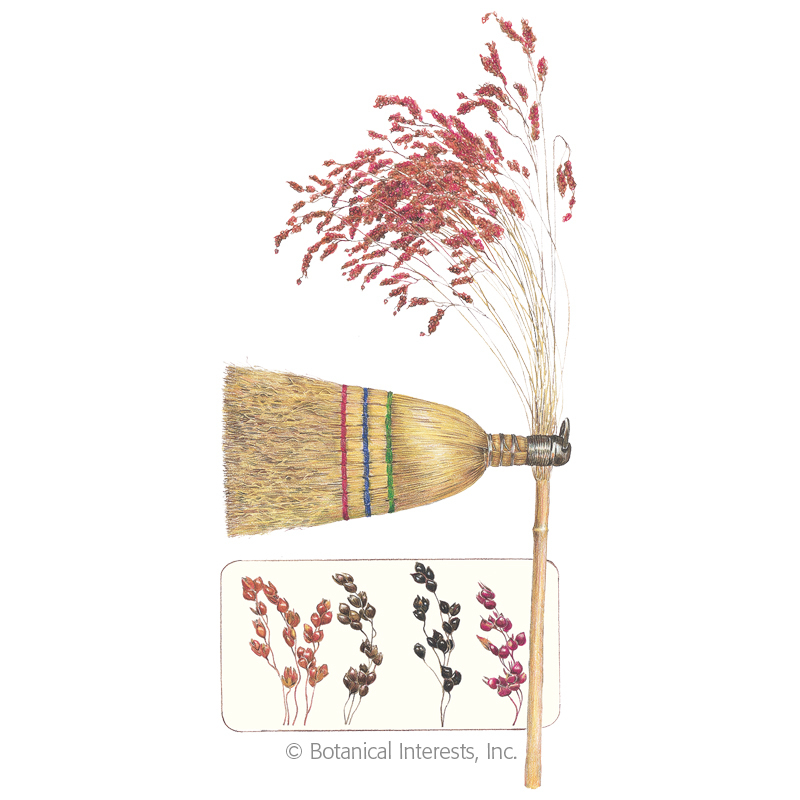 Harvest them for fall dècor and dried arrangements, or grow enough to make your own broom! 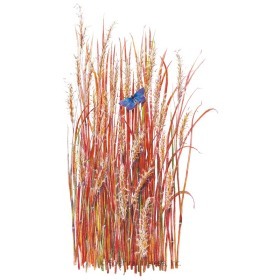 Variety Information: 16"–20" seed panicles; seeds range in color from reds to browns and blacks. When to Sow Outside: RECOMMENDED. 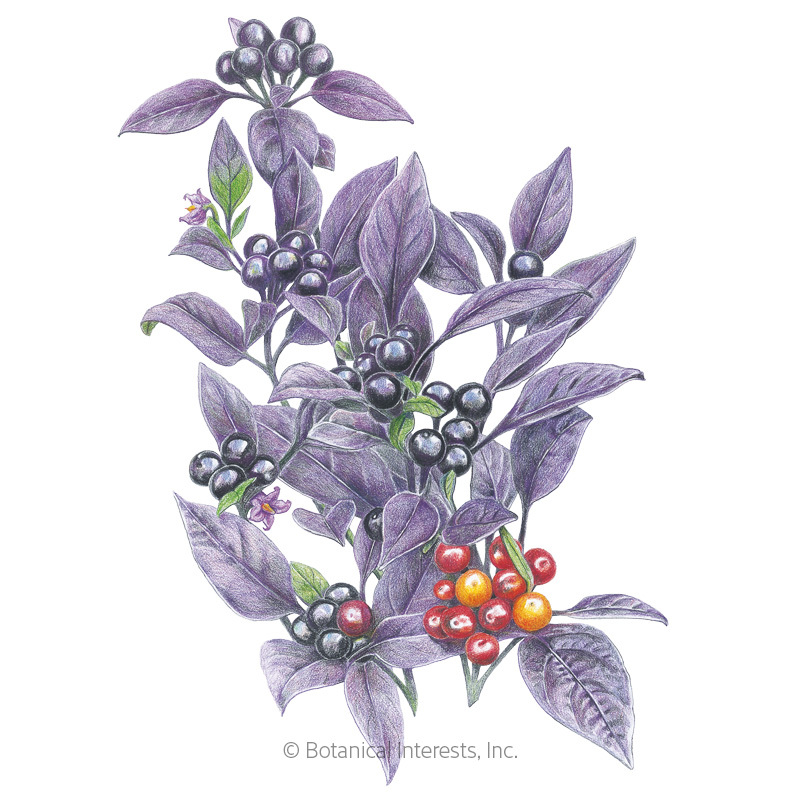 1 to 2 weeks after your average last frost date, and when soil temperature is 60°–80°F. In the deep South, this can mean as early as February. Seed Spacing: A group of 2 seeds every 12"
Thinning: When 4" tall, thin to 1 every 12"
Special Instructions: If necessary, protect seedlings from birds. 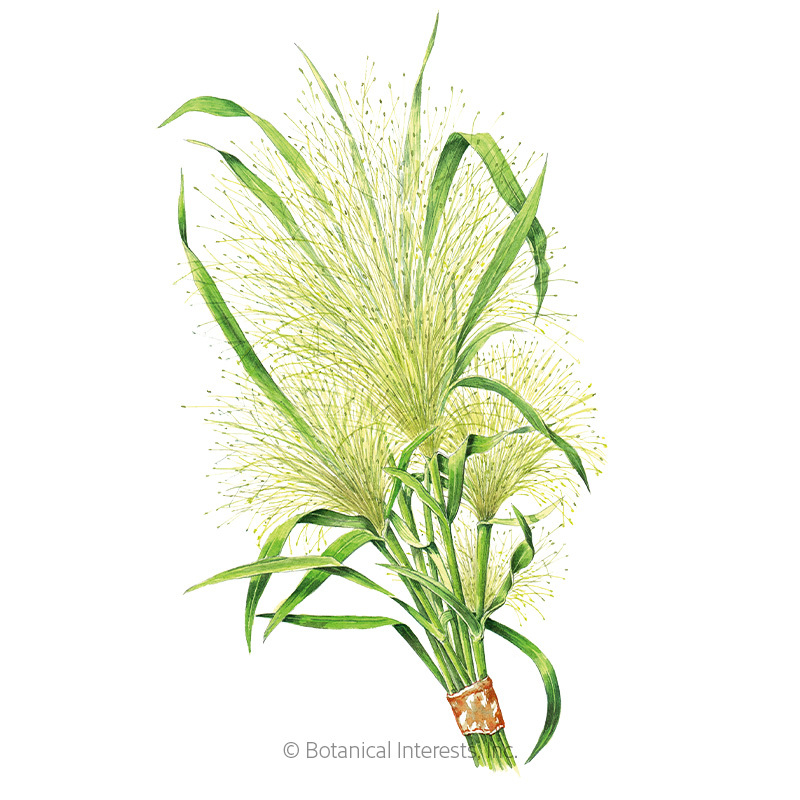 Broom corn does not need to be isolated from corn plants; they will not cross-pollinate.